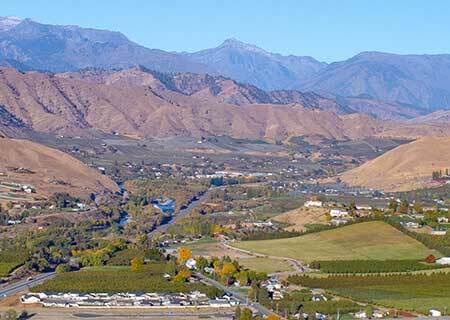 Microsoft and Chelan PUD team up to boost clean energy and broadband. Broadband access continues to be a problem in rural parts of the country. But Microsoft and the Chelan County Public Utility District may have just killed the proverbial two birds with one stone. The two organizations announced a unique partnership Friday where the PUD will supply the Redmond-based company with clean power in exchange for some help in expanding the broadband footprint in Chelan County. Historically, Microsoft has been the largest corporate customer of Puget Sound Energy. But their portfolio of energy – from natural gas, coal, hydroelectricity and other resources – didn’t advance Microsoft’s goal of reducing its carbon footprint. The new five-year agreement will do just that. The 50 megawatts of power from the Chelan PUD comes exclusively from hydroelectric power generating sources, which will meet Microsoft’s commitment to clean energy. As part of the agreement, Microsoft agreed to help the PUD reach more rural customers in the county. Currently, 75% of residents have broadband. The new initiative will bring that level up to at least 85%. “We’re proud to be powering our Puget Sound operations in a way that reduces carbon emissions, supports the clean-energy sector and supports connectivity,” said Shelley McKinley, a Microsoft general manager, in a written statement. Chelan PUD produces about 1,100 megawatts of hydroelectric electricity from three dams, two on the Columbia and a third on the Chelan River. Its total capacity is nearly 2,000 megawatts. Read more in the Puget Sound Business Journal.